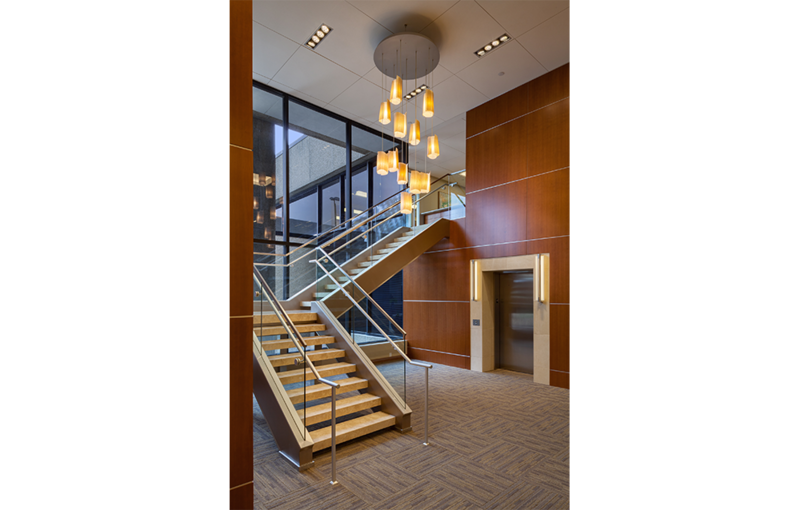 Hastings+Chivetta was engaged by Central Bank of St. Louis to design the renovation of their flagship branch in Clayton, Missouri. 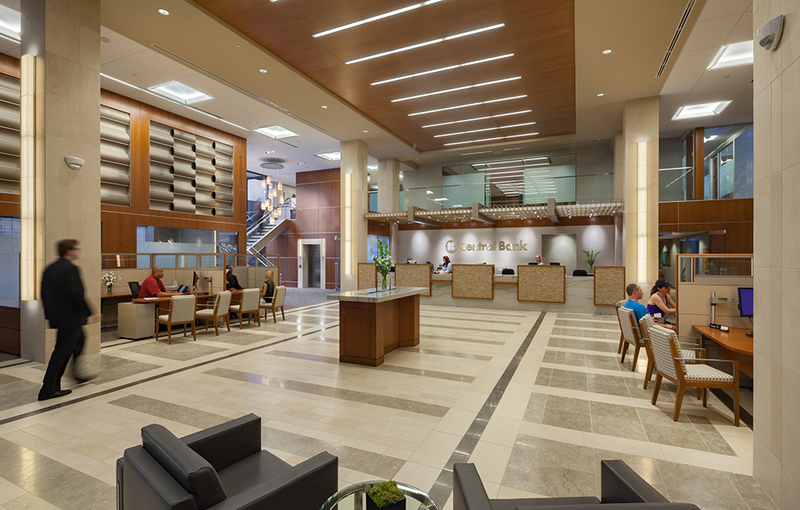 Located in a prominent Class A office tower in the Clayton business district, Central Bank has occupied their offices for more than 40 years. 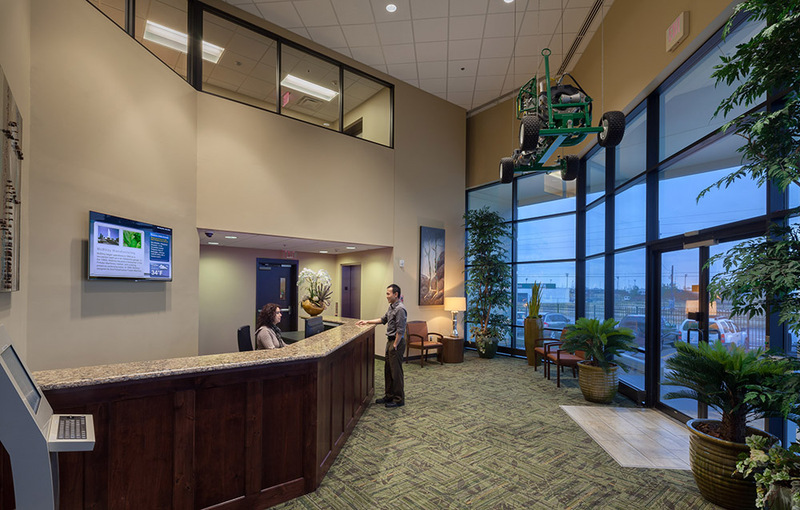 The location houses a range of functions, including retail banking, lending operations and corporate offices. 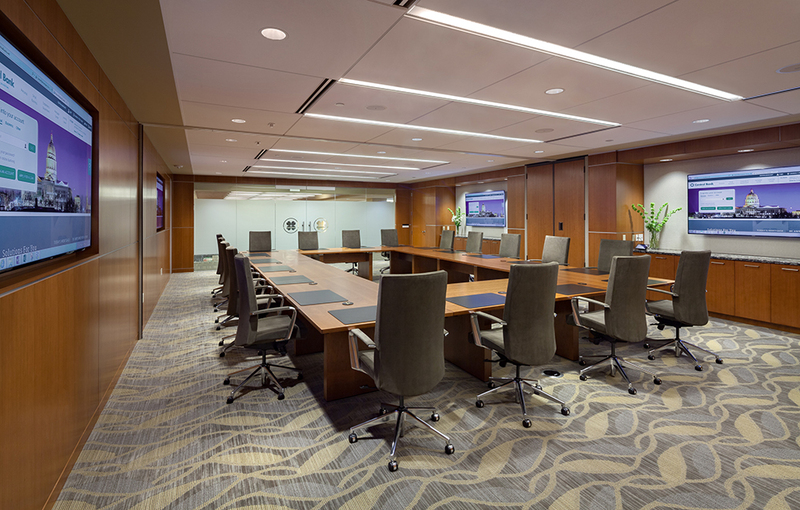 Cosmetic upgrades have been made over the years, however changes in the banking industry are driving the need for a more holistic look at Central Bank’s functional working environment. 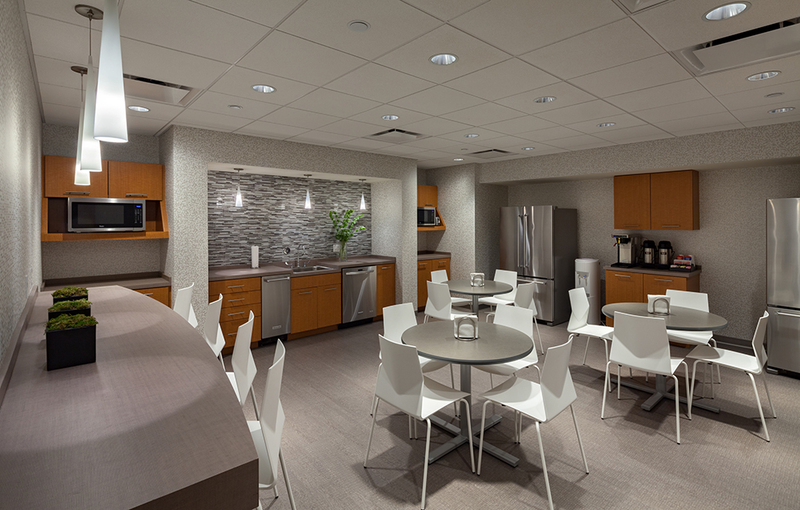 Hastings+Chivetta’s planners evaluated a range of factors, including the work style and functions of each department. 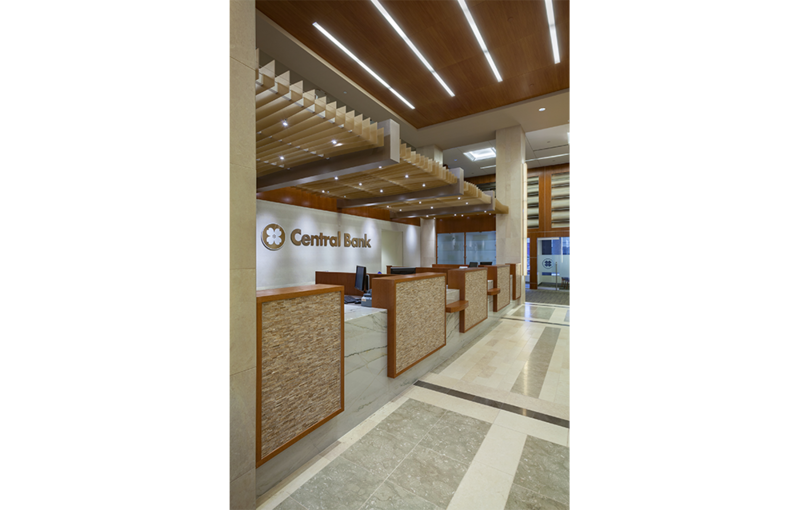 Changes in the banking industry as a whole are driving a reduced emphasis on retail/transactional banking functions (especially teller windows) at Central Bank. 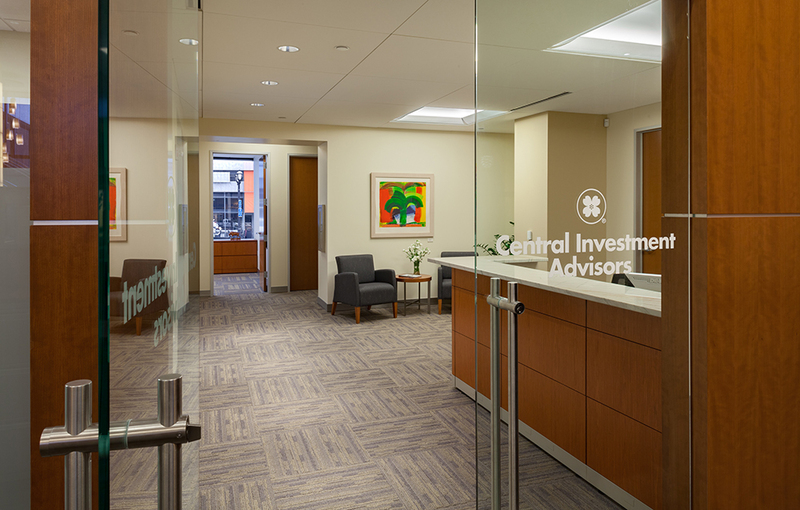 An increased focus has been placed on financial services including personal investment and commercial banking. 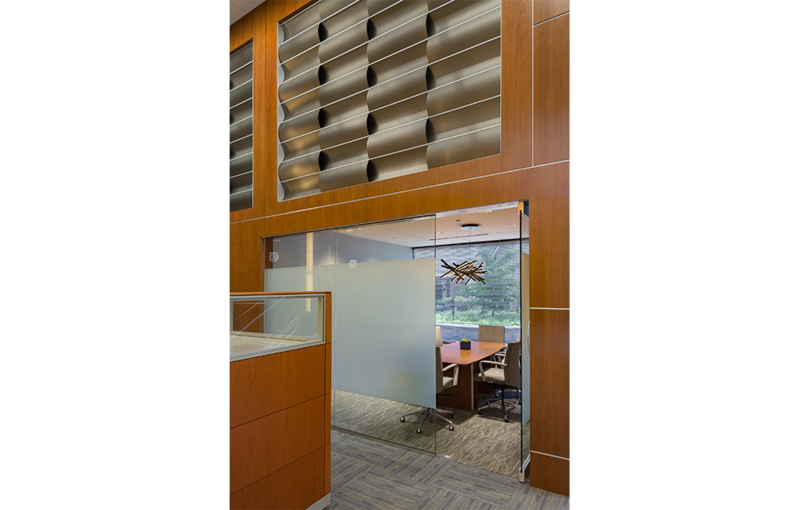 As a result, the redesigned branch incorporates changes in the ratios of private offices to open offices, consolidates staff groups by function, and presents an updated aesthetic to clients.